An e-petition has been launched demanding that the UK price of Windows Vista be lowered. The Windows Vista e-petition can be found on the 10 Downing Street website. So far, 2,067 angry computer users have signed the petition, which is open until 20 April. It will then be sent to the Prime Minister's office. The petition urges Tony Blair to put pressure on Microsoft , "to stop [it from] overcharging the UK for its Vista operating system". Paul Milne, who started the petition, is annoyed about the "huge difference in the price that people in the US and the UK are paying for Windows Vista". He claims that Windows Vista Ultimate , the premium version of Microsoft's operating system, costs £350 in the UK but can be bought for the equivalent of £195 in the US. "I can see no reason for such a huge difference in price between the UK and the US other than Microsoft's belief that UK customers will pay more than their US counterparts," Milne writes. 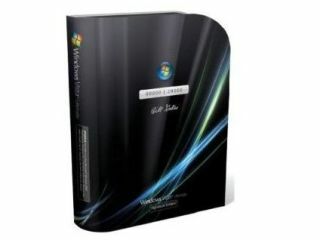 The price of Windows Vista does vary from store to store, but the recommended retail prices for Windows Vista Ultimate are currently set at £370 on Amazon.co.uk , compared with $400 (£203.65) on Amazon.com . Depending on which version of Windows Vista you're looking at, the UK price can be as much as double the US price. But Windows Vista Home Basic , the version for people who qualify for a Windows Vista upgrade, is actually cheaper in the UK - £81 compared to the US price of $193 (£98.23). In response to the e-petition, Microsoft replied in a statement: "We respect the rights of UK consumers to voice their opinions."